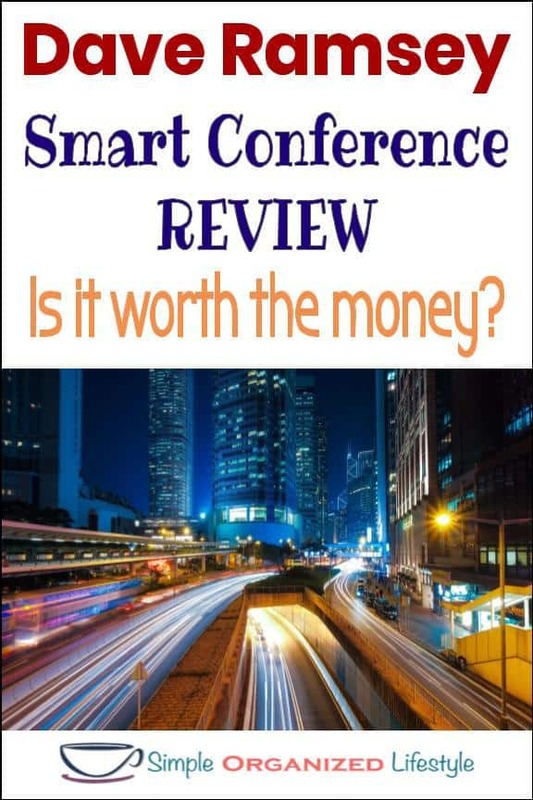 Dave Ramsey Smart Conference Review: Was it Worth the Money? 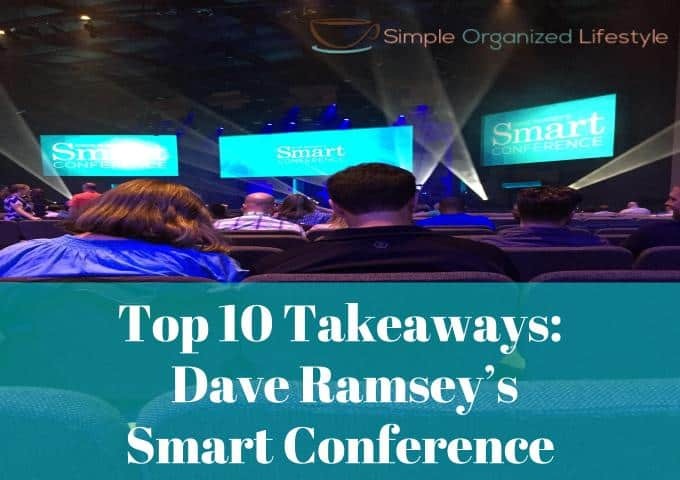 I had a friend ask me if the Dave Ramsey Smart Conference was worth the money. She is familiar with his debt snowball plan and wanted to know what to expect. Actually, the Dave Ramsey Baby Steps and debt snowball plan was only a small part of the topics presented by the speakers. More about that below. 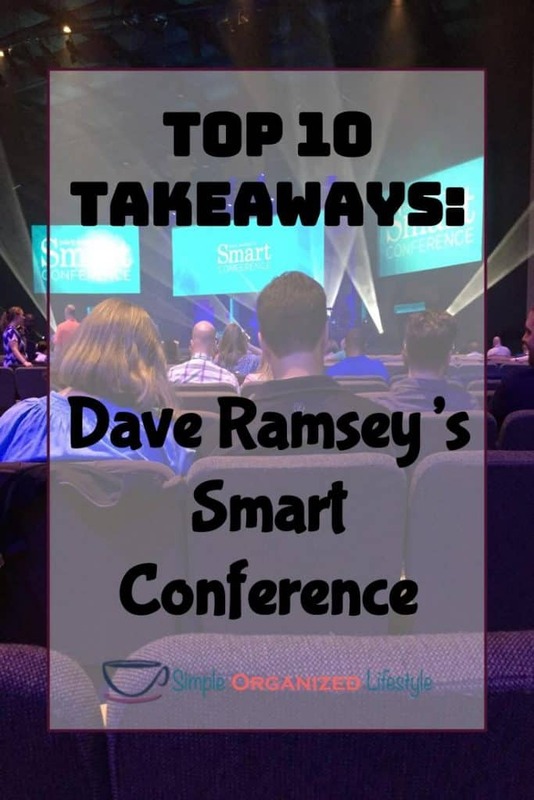 Below are some of the top takeaways from some of the Ramsey personalities who participated in the conference. Ah-mazing speakers… energetic, enthusiastic and passionate about their topics. Withholds are things you are thinking but don’t say, both positive and negative. Dr. Parrott discussed a unique way to share withholds. This made me realize how much the people in our lives need to hear our positive thoughts. It seems like the negative thoughts come out so easily but the positive ones get lost in the day to day rushing around. Just like putting things in their place helps keep our home in order, saying positive things when we think about them helps keeps our relationships in order. Rachel talked about a picture on Facebook of what looked like the perfect family having a perfect picnic. We start comparing our fast food meal on the sofa to the “picture perfect picnic.” It leads to guilt, discontentment and a serious case of keeping up with the Jones’. She did a great job of explaining what we don’t see in Facebook pictures… the debt, the struggles, and basically, the reality. Rachel has a new book out and, although she didn’t promote it during the presentation, the scenario she described is the whole idea behind her book, Love Your Life Not Theirs: 7 Money Habits for Living the Life You Want . I plan on adding it to my reading list next year. 3. Smart people are grateful. I totally believe what you pour into others (with a genuine desire to improve someone’s life) will do more for you than it does for them. Whenever I’m feeling down, I can always improve the situation by doing or saying something kind to someone else. It’s strange how that works, but it always does! 4. Have a dream meeting with your spouse. In preparing for retirement, he recommends having a dream meeting with your spouse so you can make sure you are on the same page and are working on the same goals. Mr. SimpOL and I did this exercise and we have similar retirement goals but found out some surprises about each other too. I didn’t realize he wanted to travel as much as he does. He didn’t know about some part-time professional goals I have for retirement. Great conversation and advice! Chris’ book Retire Inspired is just as good as his presentation! 5. Numbers change when people do. Yes, I agree! Chris talked about what you might be giving up now but, in doing so, what you can gain later. More solid advice about the habits that change your finances. 6. Perspective can be your passport or your prison. Inky’s testimony is truly one of overcoming adversity and deciding to find the good in bad situations. 7. Strong Fathers, Strong Mothers. Dr. Meeker’s thoughts on how our culture treats men as fathers was very thought provoking. One of the best things we can do for our kids as moms is to build up their fathers in front of them. She also talked about just spending quality time with our kids, not running them from activity to activity, but truly just spending time with them. You know recently I heard about a mom in our community who plugs a cooking appliance in her car to cook supper on the go running from activity to activity. Just thinking about that makes me stressed! I really believe too many activities takes away from what our kids will remember most about growing up, and that’s just spending time with them. 8. Don’t let your comfort zone kill your dreams. This young guy was overflowing with energy and enthusiasm, every time I saw him, and not just on the stage. He talked about learning some life lessons the hard way (such as his credit card debt in college) and getting out of your comfort zone to pursue your dreams. Definitely an encouraging message for anyone struggling with finances! 9. You become what you think about. One of the best “secrets” Dave shared was this one… The Strangest Secret by Earl Nightingale. Mr. SimpOL said the entire conference was worth it just to find out about this 30 minute inspirational speech. Give up a t.v. show or listen when you’re going down the road- it is worth it! If you don’t believe me and you’re reading this because you’re a Dave Ramsey Total Money Makeover fan, believe him! It’s so good. 10. Goals must be in writing. I strongly believe in writing goals down. I already had a goal/vision board but after this conference Mr. SimpOL and I sat down together and did 1, 3 and 5 year written goals and put them on our bathroom mirror in full view every single day. It’s that important. The conference left me inspired to be, do, and give more. Without a doubt, I told my friend it was worth the money and I would recommend it to anyone. It’s money you spend in order to succeed not only with finances, but with life in general! What’s the most inspiring conference you have attended?